A J.A.A.P.A. 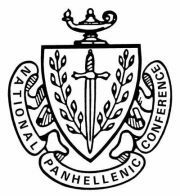 scholarship is awarded each year to a Millsaps College sorority collegian who is the President of Panhellenic. This scholarship is to be applied towards the recipient's college tuition and/or books for the year.